When Ann Johnston of the Crested Butte Land Trust got wind of a land deal that would destroy a key trail in her Colorado hometown, she sprang into action. 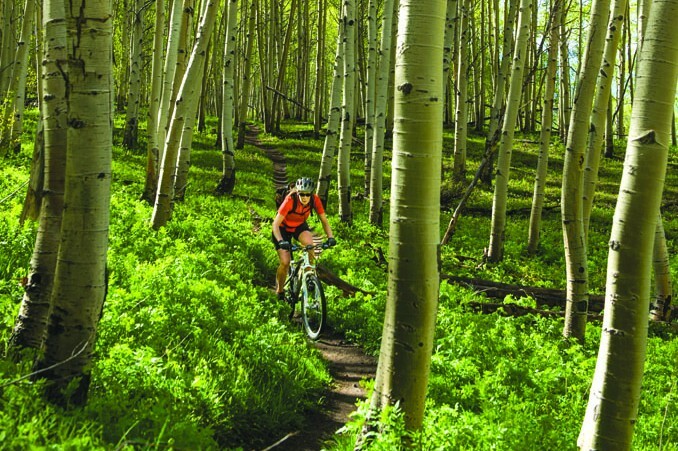 The Snodgrass Trail is quintessential Crested Butte—breathtaking singletrack that winds through wildflower meadows and aspen groves, connecting two valleys close to town and crossing public and private property. Its future hung in the balance when Crested Butte Mountain Resort decided to sell some of the land to a real estate developer, along with plans for 30 houses that would wipe the Snodgrass Trail off the map. Holly Annala, secretary of the Crested Butte Mountain Bike Association (CBMBA), couldn’t bear the thought. “It’s a little place of wildness right outside of town. That natural landscape is irreplaceable,” she said. The development deal fell through in January 2014, prompting the land trust to start a campaign to raise $2.8 million to purchase the property. “When the land went on the open market, I knew we needed to protect it,” said Johnston. The community stepped up. Crested Butte Mountain Resort donated $625,000. The towns of Crested Butte and Mt. Crested Butte were quick to follow, kicking in $700,000 and $30,000. The land trust applied for a Great Outdoors Colorado grant, securing $383,000, and it collected contributions of $225,000 from the Gunnison Valley Land Preservation Board and $125,000 from a 1% for Open Space Fund. Concerned citizens also opened their wallets, writing checks from $10 to $250,000 and The Conservation Fund stepped in to help with some necessary short-term lending. But with the closing looming, funding still fell short, and Johnston was losing sleep. She turned to the Town of Mt. Crested Butte, which swiftly doubled its contribution in a unanimous Town Council vote. Even so, the land trust was still $7,000 shy of its goal a week before a January 2015 deadline. The community can now breathe a sigh of relief. When the final deal inks, the Crested Butte Land Trust will place a conservation easement on the land and transfer ownership to the town of Mt. Crested Butte, preserving this Colorado gem forever. As for Johnston, she’s on to the next project. The Crested Butte Land Trust is keeping tabs on other vulnerable properties and is ready to pounce.